Newcastle Disease (ND), caused by Avian avulavirus 1 (AAvV 1, avulaviruses), is a notifiable disease throughout the world due to the economic impact on trading restrictions and its embargoes placed in endemic regions. The feral birds including aquatic/migratory birds and other wild birds may act as natural reservoir hosts of ND Viruses (NDVs) and may play a remarkable role in the spread of the virus in environment. In addition, other 19 avulaviruses namely: AAvV 2 to 20, have been potentially recognized from feral avian species. Many previous studies have investigated the field prevailing NDVs to adapt a wide range of susceptible host. Still the available data is not enough to declare the potential role of feral birds in transmission of the virus to poultry and/or other avian birds. In view of the latest evidence related to incidences of AAvVs in susceptible avian species, it is increasingly important to understand the potential of viruses to transmit within the domestic poultry and other avian hosts. Genomic and phylogenomic analysis of several investigations has shown the same (RK/RQRR↓F) motif cleavage site among NDV isolates with same genotypes from domestic poultry and other wild hosts. So, the insight of this, various semi-captive/free-ranging wild avian species could play a vital role in the dissemination of the virus, which is an important consideration to control the disease outbreaks. Insufficient data on AAvV 1 transmission from wild birds to poultry and vice versa is the main constraint to understand about its molecular biology and genomic potential to cause infection in all susceptible hosts. The current review details the pertinent features of several historical and contemporary aspects of NDVs and the vital role of feral birds in its molecular epidemiology and ecology. 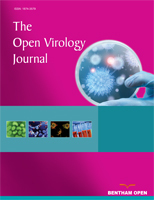 Keywords: Avian avulavirus 1 (AAvV 1), Wild and Migratory birds, Epidemiology, Phylogeny, Newcastle Disease (ND), Fusion gene.